I have never personally known anyone who has faced as much adversity in motherhood as my sister-in-law, Misty Trendler. She has had numerous trials from her first child being stillborn, to being given a choice to abort a baby to enduring struggles in adoption. Misty is no stranger to adversity in motherhood. 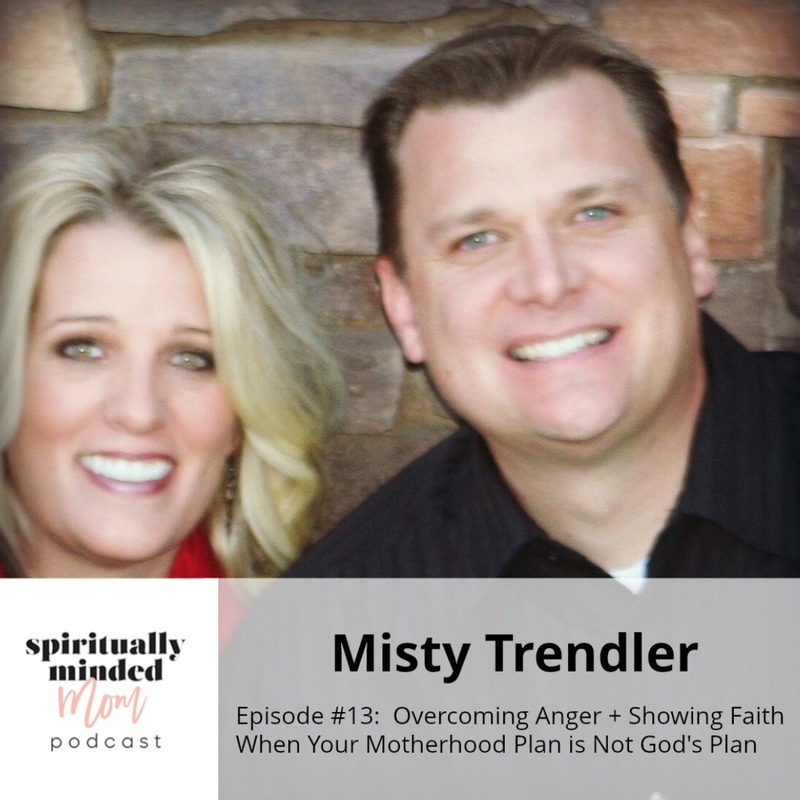 In this interview, you’ll learn Misty’s story of motherhood and her relationship with God has many layers. At times, she’s been filled with faith and had the ability to totally turn things over to God and trust Him and yet, in other situations, she has experienced anger and frustration and has questioned God. Her story shows that we don’t have a static relationship with our Heavenly Father. We go through ups and downs with Him and that’s okay. It’s all part of the process to help us grow and become closer to Him. You’ll see how Misty has learned to see the miracles and the blessings through the difficult situations she has endured. Most of all, you’ll learn how she has been able to keep her faith and come to know that God’s plan for her and her family was not her plan but was exactly what she needed to become the person God wants her to be. Get access to the Five Ways to Become a More Spiritually Minded Mom workbook by clicking HERE. 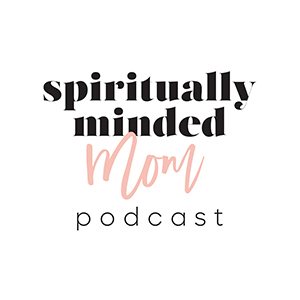 Checkout the story highlights on @spirituallymindedmom on Instagram for videos. I haven’t met many mothers who have been through as much as Kay West has on the journey of motherhood. Her story has a happy ending with the adoption of two long-awaited and beautiful children. 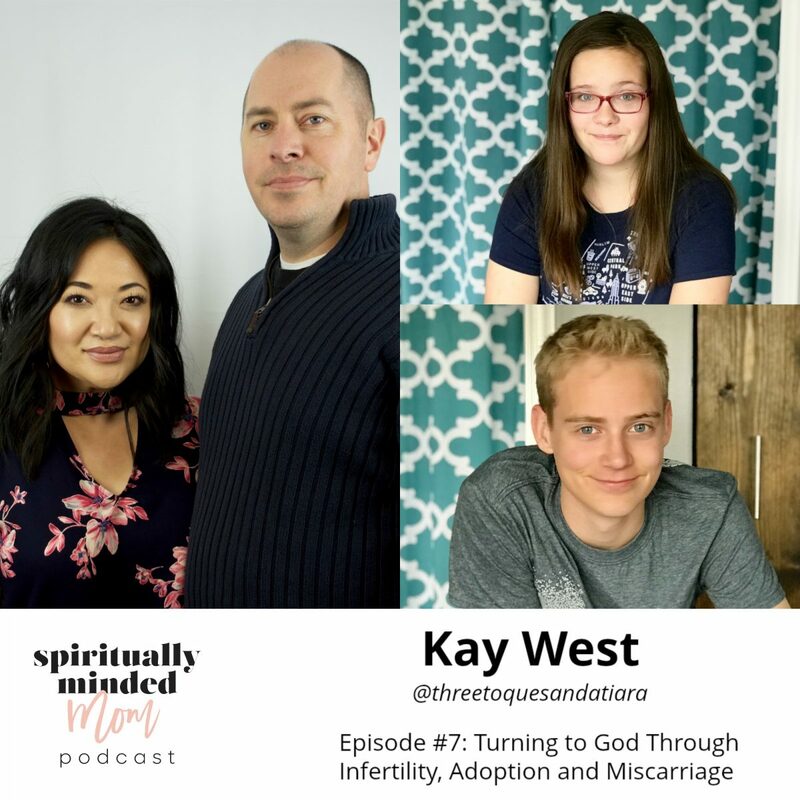 However, Kay also knows the heartache of infertility, miscarriage and the grief of a third adoption that did not happen. Her story is so heavy and full of trials that I was completely caught off guard by how happy I felt during this interview. Even as she shares the most painful moments of her life, her hope and joy shine through and I walked away feeling so uplifted by her words. We talk about her expectations of motherhood and the fun way she deals with strangers who ask why her children don’t resemble her Asian background. Kay also emotionally shares her anger toward God and her ups and downs in her relationship with Him. During infertility, her husband told her one thing that changed her perspective. He said, “You can either turn away from Heavenly Father or you can turn toward Him.” Kay knew she had a choice. It wasn’t easy but she chose to turn toward God. Though her daughter has special needs that are easy to see, Kay has learned we all have something that makes us not whole. She knows her trials of motherhood are not a punishment and she isn’t broken. Kay shares a beautiful message of hope for any mother who feels she is less than another mother in the eyes of God.